DuPont™ Tyvek® Timberframe Solutions is a system of high-tech membranes and accessories designed to enhance the performance and installation of the building envelope. The various combinations of unique products within the co-ordinated offering adds significant value and allows producers of lightweight ventilated Timber Frame facades to apply superior protection against the elements. DuPont™ Tyvek® Timberframe Solutions consists of the right Tyvek® breather membrane for each application in partnership with the most suitable air & vapour control layer from DuPont, thus optimising performance and processes. With this advanced system DuPont offers a flexible choice that includes different sizes of membrane to reduce waste and to support more efficient working practices. Installed to the exterior of the envelope, the ability of DuPont™ Tyvek® breather membranes to perform for the long term has been proven both in practice and through rigorous independent testing. The range of carefully and scientifically developed products delivers impressive protection against the elements, offers superior levels of UV & heat resistance, together with excellent service and renowned reliability. Furthermore this advanced system can be tailored to specific production needs and the product’s inherent strength and high resistance to wear and tear enables the application of membranes that are light weight, robust and worry-free to install. 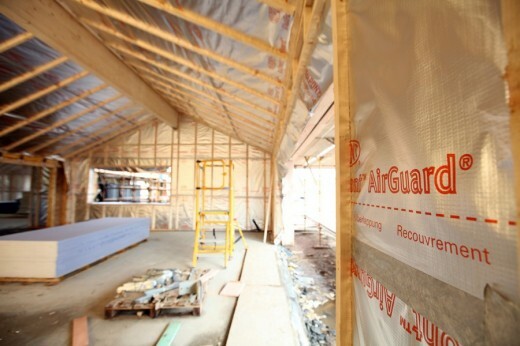 Applied to the interior of the envelope to protect both the structure and insulation, DuPont™ AirGuard® AVCLs enhance the moisture management and airtightness, helping to meet increasingly tougher regulations and contributing to greater energy efficiency and occupier comfort. 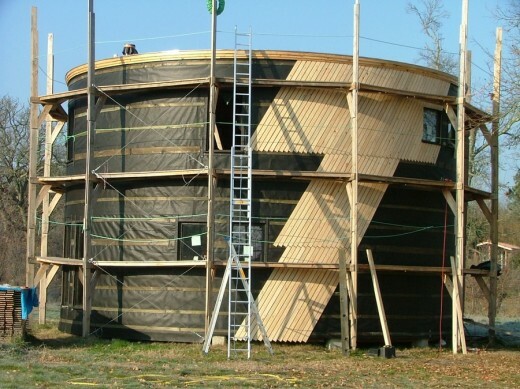 DuPont™ Tyvek® Timberframe Solutions provide effective condensation control and airtightness for all types of construction, while also helping to reduce uncontrolled leakage by making the envelope both air and watertight. The result is a significant contribution to the thermal performance of the building, helping to achieve environmental goals set by the EU directive and local building codes. DuPont™ Tyvek® Timberframe Solutions include membrane and tape combinations designed to target specific market needs, from enhanced safety and sustainability to greater freedom in design and from renovation to new build projects. photo © BEEdomus®, all rights reserved. photo Simon Price for DuPont Building Innovations, all rights reserved. 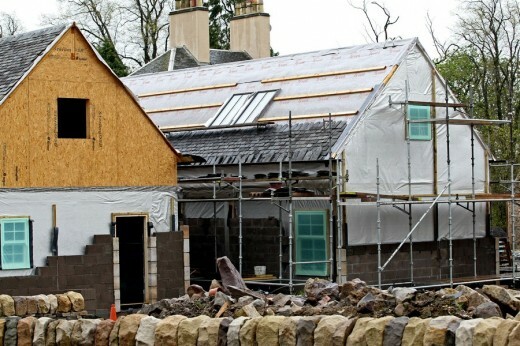 Consisting of four spacious timber-frame, stone-clad, slate-roofed units, the houses feature top quality materials, including three high-performance building membranes from (DuPont™ AirGuard®, DuPont™ Tyvek® Reflex and DuPont™ Tyvek® Supro). photo DuPont, all rights reserved. April 25, 2014 in Products.